So happy you've joined us! I'm videogame composer Winifred Phillips (pictured above working on my career breakthrough project, God of War). Today I'll be discussing a hot topic that we've previously explored, but that definitely deserves to be revisited periodically. This is one of the most popular subjects that I've addressed in my previous articles here: How does a newcomer get hired as a game composer? 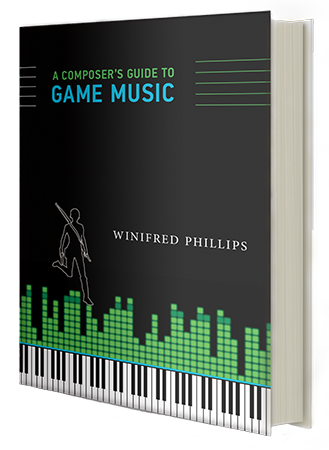 I'm asked this question frequently, and while I offered quite a lot of advice on this topic in my book A Composer's Guide to Game Music, I'm keenly aware of how urgent the need is for updated guidance on this issue for aspiring video game composers. Game music newcomers often feel adrift and alone in the game industry, and some good advice can be a welcome lifeline. In my book, I described the career path that led me into the game industry and allowed me to land my first gigs, but I'm well aware that my experience was pretty unique. With that in mind, I've collated some recent research and insights from some top game industry professionals in this article, in the hopes that some of these expert observations might prove helpful. There are lots of original and provocative viewpoints presented here, so we should feel free to pick and choose the strategies and tips that will work best for us. Also, later in the article you'll find my presentation for the Society of Composers and Lyricists seminar, in which I answered the question about how I personally got my start in the games industry (for those who might be curious). Finally, at the end of the article I have included a full list of links for further reading and reference. Here's a new topic this year: the music demo reel, otherwise known as a professional portfolio. To prepare an awesome demo reel, we game composers usually start by collecting our best music pieces and arranging them in a way that we hope will be impressive enough to arrest the attention of a potential client. If we were in a sentimental frame-of-mind, we might think of our demo reel as a fragile flower in an outstretched palm, offered up in the hopes of finding an appreciative audience. But there's nothing about this process that's sentimental. The demo reel is a marketing tool, and its crucial that we think of it with a sense of strategic detachment. We have a product we're trying to sell, and our demo reel needs to act as our figurative foot in the door. So, how do we make our reels stand out from the competition so that they attract the interest of clients who might want us for a famous game franchise or an indie masterpiece? According to sound designer Nathan Madsen, when preparing our demo reel for review, we should put our newest work first. "Having an up to date portfolio, or even relatively up to date, really helps you be ready for sudden job opportunities," Madsen observes. This opinion is echoed by Daniel Spreadbury (product marketing manager at Steinberg Media Technologies), who goes even further to suggest that "if you think that your talent as a composer is best displayed by the piece you’re currently working on, there is no reason that this can’t be submitted as well, as an example of a work-in-progress. While it will be incomplete, it can still be used to illustrate your creative process and your understanding of composition." That being said, Spreadbury urges that composers turn a critical eye to their work when selecting musical candidates for their demo reel. "It’s often tempting to try and include as much of your own material as possible. In fact, it is usually far more useful to submit a carefully curated selection of your composing work, rather than everything that you’ve ever worked on. It is important to strike a delicate balance between submitting enough work that your talent and consistency are clearly demonstrated, but not so much that it overwhelms your intended audience." Are there any considerations regarding the format of our demo reel? According to Matthew Marteinsson (sound designer at Klei Entertainment), a collection of music files may not be enough. "Have a video reel," Marteinsson urges. "We are a medium that is the marriage of video and audio." Marteinsson observes that when receiving an audio-only reel, he is left uncertain of the capabilities of the composer he's evaluating. "I know you can make cool sounds, but I don’t know if you can marry them to the right visuals, so have a video reel." How much music should be included in our demo reels? According to Kevin Regamey (Creative Director of Power Up Audio), less is more. "What you're making here is a teaser trailer," he points out. For composer demo reels, Regamey suggests that a two minute time limit is a good rule of thumb. "Most reels are usually too long," he states. "Keep in mind that you can always show longer things later on. Get them interested, and if they like your stuff they will listen to your things that are not in your main demo reel." Regamey goes on to point out that "you need to tailor your reel to its audience. Make sure you know who is getting this reel and what they want to see." Certainly it's preferable to know what a prospective client is looking for, but how can we achieve this? Ariel Gross (Founder of the Audio Mentoring Project), suggests that we decide what games or franchises we'd like to be working on, and then pursue that goal. "Most of the time you don't need to be an avid player of the specific game or franchise that you're trying to work on, though it can be helpful," Gross observes. "At the very least, you want to be well versed with the products. If you can't play the game, go consume lots of gameplay videos on YouTube, read articles and reviews about the games, and look for interviews with the people that worked on it." Apart from how our music demo is constructed and targeted, timing may also be an essential consideration. "You absolutely need to have a showreel or a demo. Also, you need to have it ready before you start contacting people," advises Will Morton (Audio Director at Solid Audioworks). "You don't have to be carrying around a folder of CDs and DVDs with you all the time, you can have a Soundcloud account with MP3s ready to give people links to if you need to," Morton suggests. "It is easier than ever to have your work on-line and accessible from anywhere these days." Finally, Brian Schmidt (Founder and Executive Director of the GameSoundCon conference), suggests a novel approach. 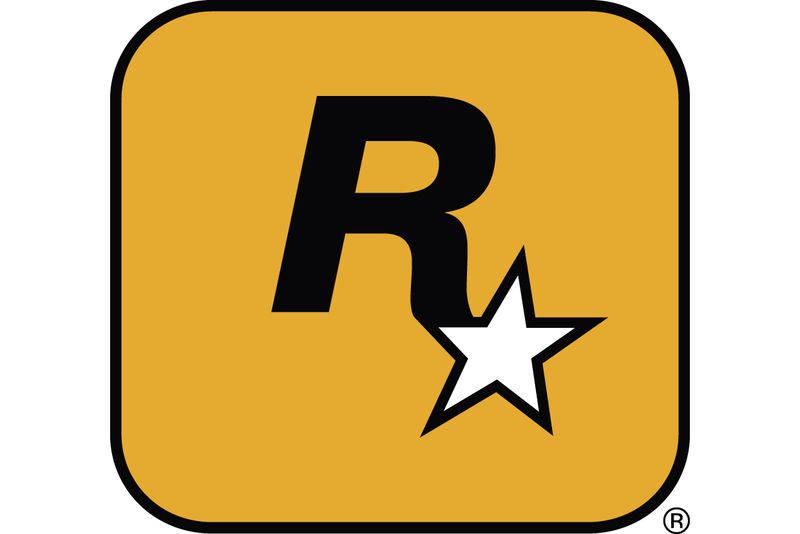 "If you want to create a demo that will really create an impression, create a ‘MOD’ for a game. A MOD is a game where some component has been altered or changed. Taking a portion of a game and swapping in your own music or sound design is a great demo," Schmidt observes. "By creating an interactive demo (instead of just a bunch of mp3 files) you will stand out over 95 out of 100 other composers or sound designers." There seem to be numerous theories regarding what makes an effective demo reel, as well as many options for its format and content. But if we're unable to get it into the hands of a potential client, it won't be of much use. So let's discuss how to build relationships that can open doors in the game development industry. Beyond having a strong music demo, we will also need to be able to make professional connections in the games industry, and that can be a bewildering task. How to begin? Perhaps the better question is not how, but when. "Your time at college is the ideal time to start networking," advises Will Morton of Solid Audioworks. "Make friends and work with people who are doing sound design. Make friends and work with people studying composition. Make friends and work with people on game development courses. Make friends and work with people studying TV or film production. Make friends and work with people studying any kind of performing arts. This will again help you build a better body of work to use in your showreel, and arguably more importantly gives you a network of people who may at some point ask you to be involved with a project they are working on." This opinion is echoed by Jason W. Bay (Owner and Editor of GameIndustryCareerGuide.com). "Attending an audio school will also help to kick start your career networking," Bay says, "because as the people in your classes graduate and then start getting jobs all over the country or even the world, they’ll become your eyes and ears inside of those companies. And they can help you spot job openings and even help you get interviews whenever the opportunities arise." The benefits of cultivating a network of college friendships are invaluable, according to Bay. "It helps you find out about job openings before they’re posted. It increases the chances of getting a job when people inside the company already know you and trust you, so it helps you get hired." However, not all of us attended colleges ripe with networking opportunities, and some of us began pursuing a game audio career many years after graduating college. What then? According to Bobby Prince (Owner of Bobby Prince Music), it's possible to attain some of the same collegial relationships by attending educational conferences. 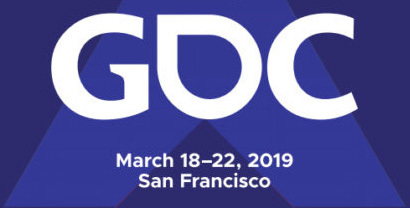 "Go to the GDC (Game Developer's Conference)," Prince suggests. "You can hang out in the public section of the location for the GDC and watch for miracles. They happen every second. Another great place to hang out is the local after/during hours hangouts. Keep your eyes and ears open for an opportunity. You don't have to force an opportunity -- the best ones will come to you without effort from you." While such efforts may yield results, the chances are far better if we're emotionally ready to sell ourselves to our fullest potential. Confidence is key, according to Rocky Kev of Black Shell Media. 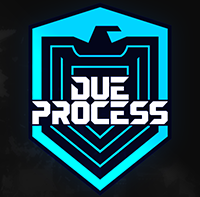 "Great game developers know they’re talented, and that confidence enhances their work. You can do the same with networking. Block out all the self doubt and act like you know what you’re doing. Fake it. You’ll be surprised how much it works." Kev goes on to add that "powerful networkers approach conversations with curiosity, treating the speaker like they’re the most important person in the world." Our ability to connect with people and convey our confidence and enthusiasm can be an invaluable asset. In my book, A Composer's Guide to Game Music, I discussed how our excitement for our work can intersect with the need to exude self-discipline and restraint when developing our professional network. "As composers, we feel passionately about our jobs. This passion drives our daily workflow and inspires the creative decisions we make. Emotions such as this can be helpful to us when we're meeting with possible clients, but only when well controlled through a disciplined and organized presentation. Some of our prospective employers may appreciate raw enthusiasm, but this sort of eagerness also has the potential to scare some people off. What we need is the ability to gracefully articulate our enthusiasm while at the same time impressing developers and publishers with our thorough professionalism. "Unfortunately, this is a skill attained only through practice. Those of us who are uncomfortable or fearful in such situations can look for opportunities to practice in a safe, consequence-free environment. For instance, helpful friends may volunteer to be an audience for us, applauding our strengths and drawing our attention to areas needing improvement." A Composer's Guide to Game Music, page 242. Finally, here's the full list of links to resources that may help a newcomer trying to break into the business. Some of these links were the source of the quotes we discussed earlier in this article. Please let me know what you think in the comments! How can I start my career in video game audio? Popular music from composer Winifred Phillips' award-winning Assassin's Creed Liberation score will be performed live by a top 80-piece orchestra and choir as part of the Assassin's Creed Symphony World Tour, which kicks off in 2019 with its Los Angeles premiere at the famous Dolby Theatre. As an accomplished video game composer, Phillips is best known for composing music for games in five of the most famous and popular franchises in gaming: Assassin’s Creed, LittleBigPlanet, Total War, God of War, and The Sims. Phillips' other notable projects include the triple-A first person shooter Homefront: The Revolution, and numerous virtual reality games, including Scraper: First Strike, Dragon Front, and many more. She is the author of the award-winning bestseller A COMPOSER'S GUIDE TO GAME MUSIC, published by the MIT Press. As a VR game music expert, she writes frequently on the future of music in virtual reality games.